Join us for an Open House Event in Crestone, Colorado! Also on this day is the Crestone Studio Tour - a showcase of local artists' work. 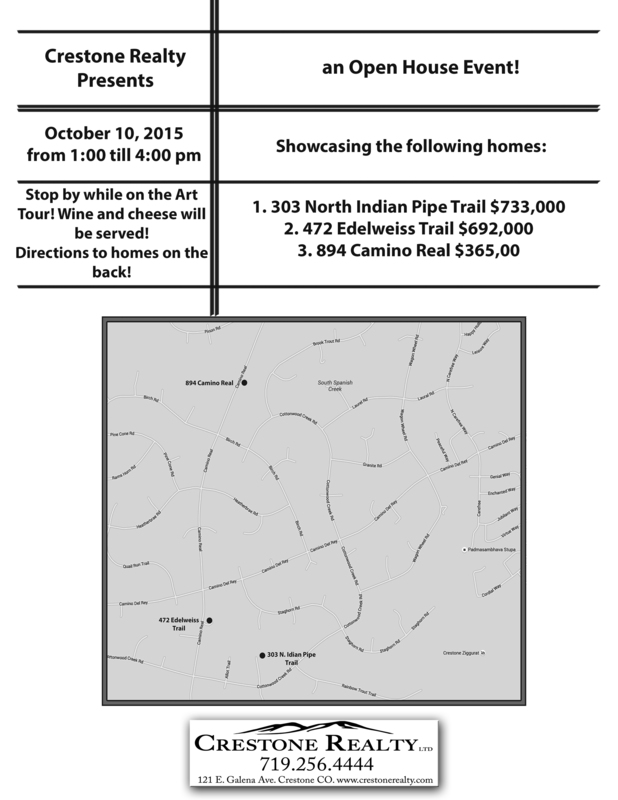 So while you're driving around appreciating art, stop by the three Open House locations and check out these beautiful homes! This is a great chance to chat with your local Real Estate Agent and ask questions - whether you're selling or buying, or considering, we can help! Crestone is a great place to be!